Today is Chuseok (Thanksgiving) Day in Korea. I work at a Korean company and since clients are on vacation, we too got a one-day off! We go home late at night, when establishments are all closed and the roads are almost dead. 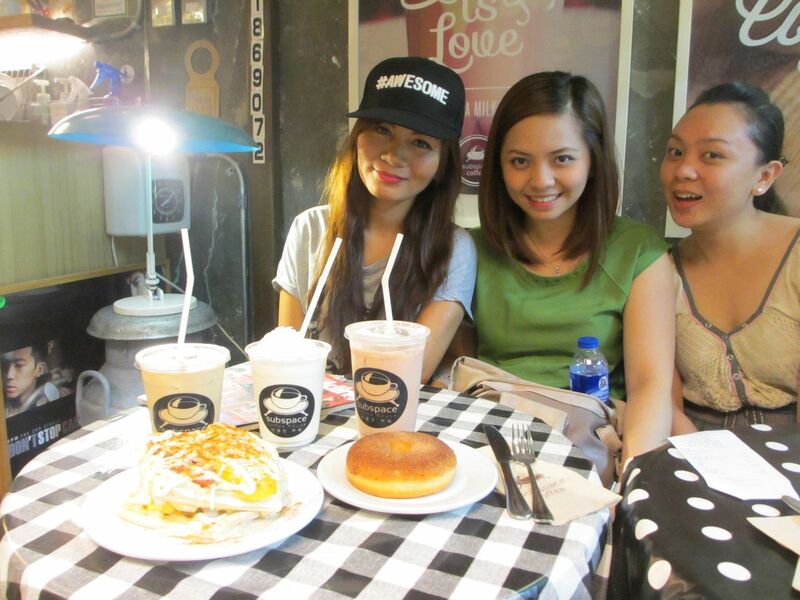 So we took the opportunity to go out on a weekday and go to a place we've been wanting to go to- Subspace Coffee House! 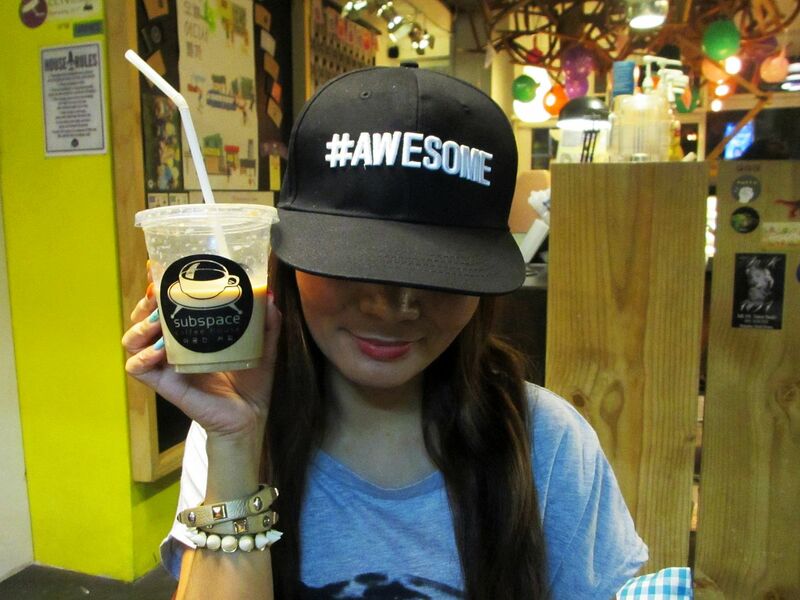 If you love coffee and enjoy listening to Korean songs then this place is for you! First of all, try to spot me in the first photo! 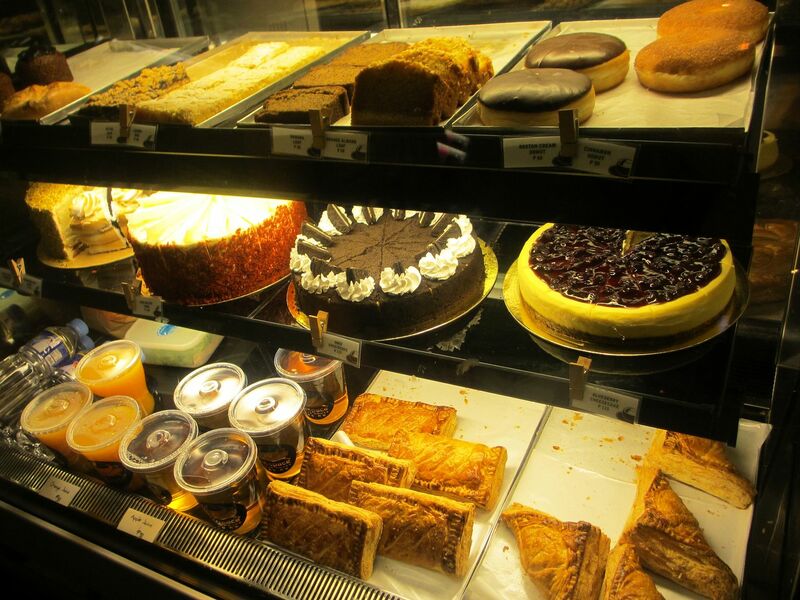 What you'll like about the cafe is that it is different from other coffee shops you know. 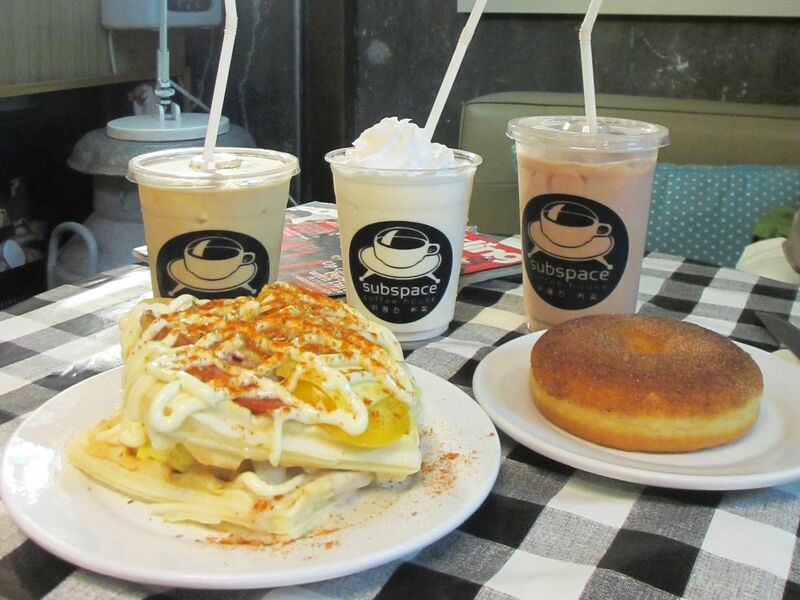 Subspace has cozy and care-free vibe that will definitely make hanging out with friends or chilling alone more enjoyable. Even from outside, the unique cafe decoration is visible. Intertwined wooden-chairs used as ceiling accent. They don't always have them, but when we came, there were colorful balloons hanging, too. I loved that every corner in the cafe is so photo-ready! I immediately thought "pre-nup" and "debut" photo-shoots!  I found some on Google here and here. Every corner was prettily decorated. But I got excited the most when I saw these stuff! 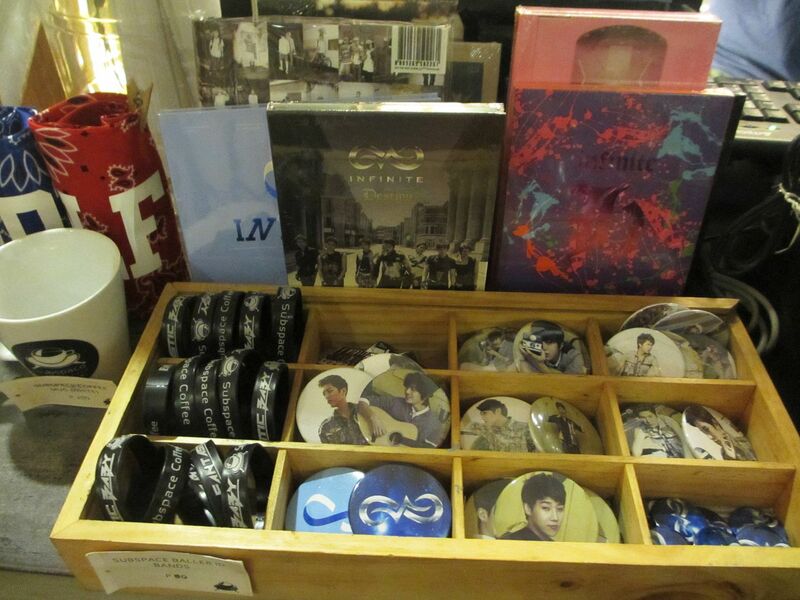 I love how the owner has so much more Infinite stuff than those of other group's! I got really tempted to buy those albums and pin buttons that I know I will never ever use but I killed the idea when I remembered I need money for my One Great Step vvvvvip ticket! Moving on, don't forget to bring a camera when you go here! I'm telling you, every corner is so photogenic you wouldn't be able to resist. Here's their newly painted mural. 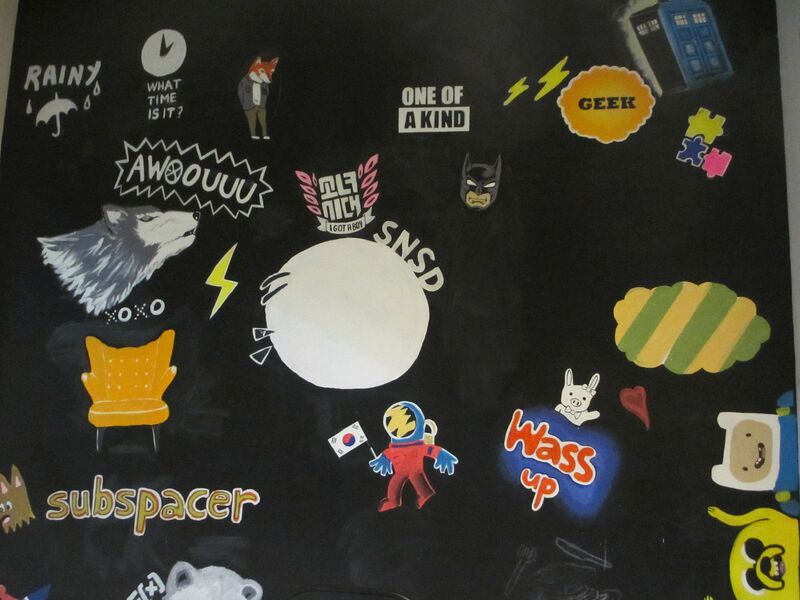 Try to find your bias' logo. Short story! I used to research a lot about tourist spots in Seoul. 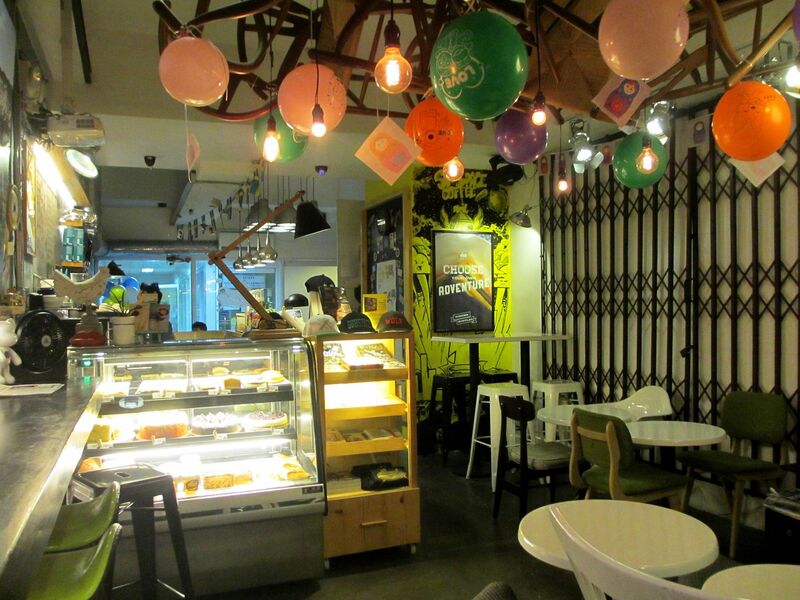 On top of the list,always, is Coffee Prince Shop in Hongdae. But to the tourists dismay, almost all of them are saying it won't be a nice idea to go to the shop since it's already beginning to get old and messy plus the baristas and the manager aren't very nice and friendly. Ha! How about our own version in Manila, then? I looove the baristas here! So polite, warm and friendly! My friends told me to just listen to my mp3 since they know I have all the songs already. But I know you would agree when I say it's different when you listen to a song you like alone on your mp3 than when you hear it aloud in public and other people can hear it too, yes? Too much talking, me! Here's what we ordered! I forgot the exact names and prices. 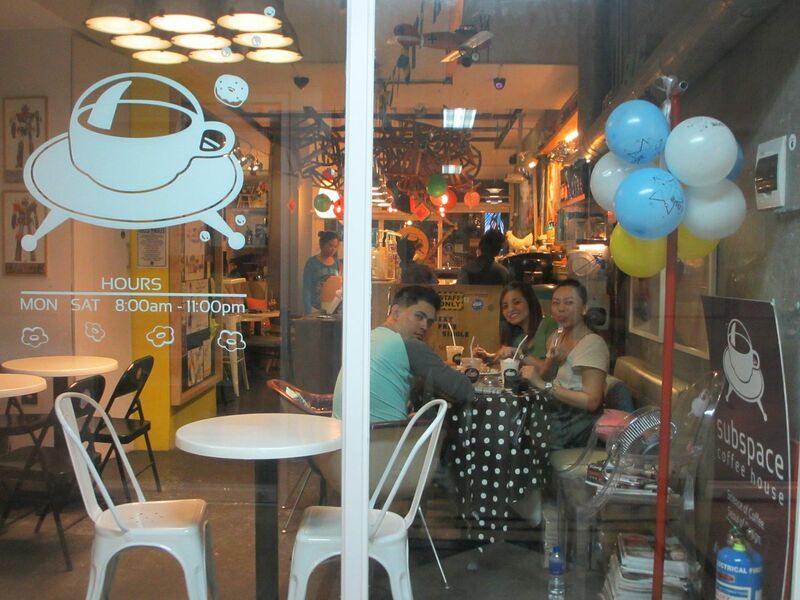 But I did order Peanut Butter Latte(P145) and Cinnamon Donut(P50), which were all good!! 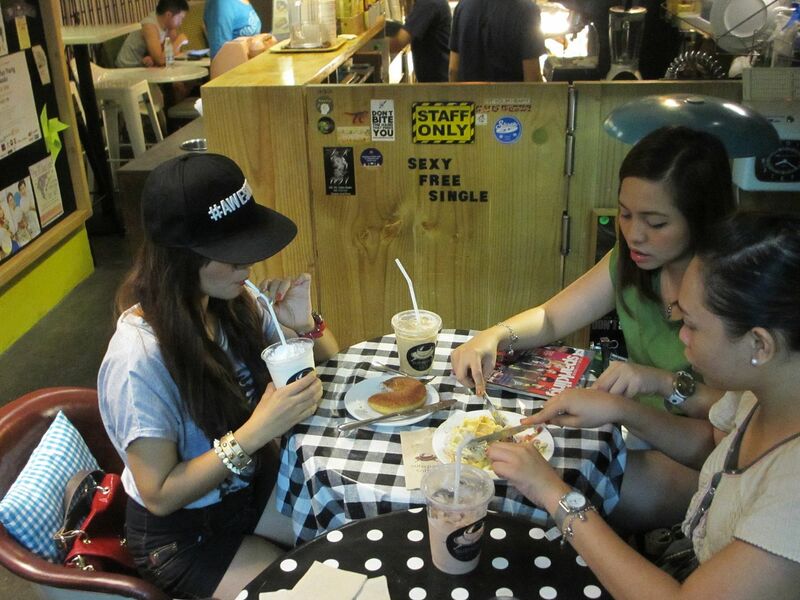 My friend ordered the famous Big Bang Waffle(P170). Delicious, too! 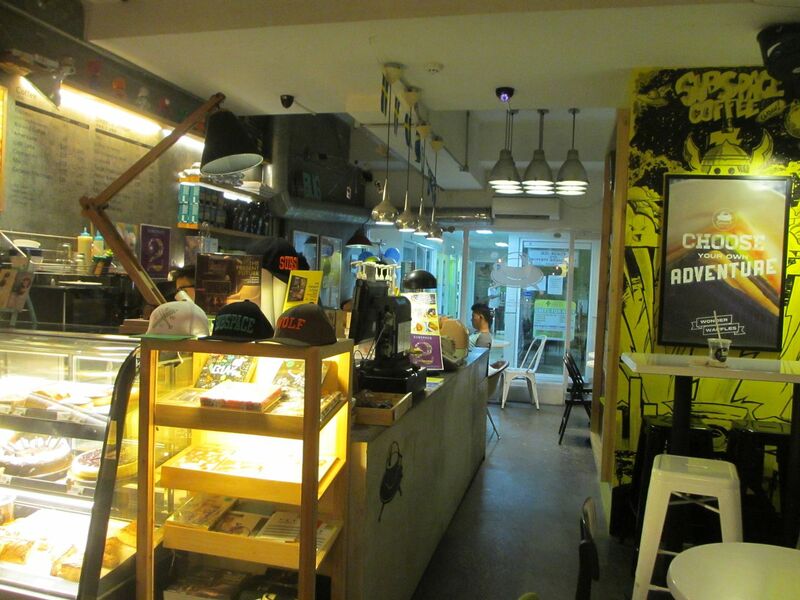 Tired of the usual crowded and plain coffee shops? 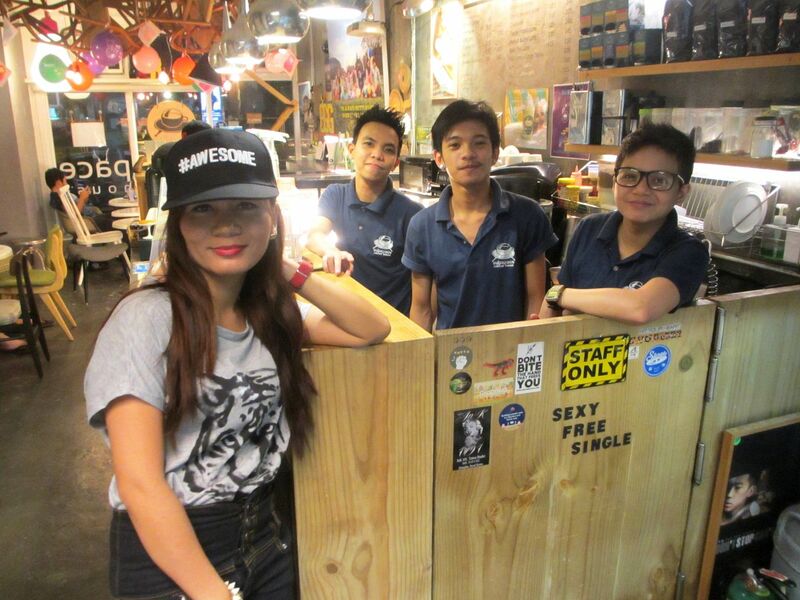 Visit Subspace, too! I'm sure you will enjoy the place as much as my friends and I did! Will definitely be coming back. Who knows, you might spot me there sometime! 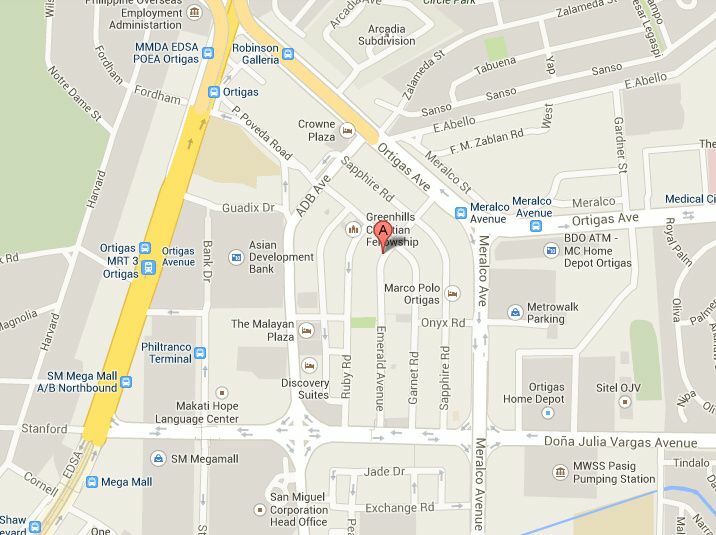 They are open Mondays to Saturdays, 8 am until 11 pm. All I can say is, Subspace is hash tag AWESOME!